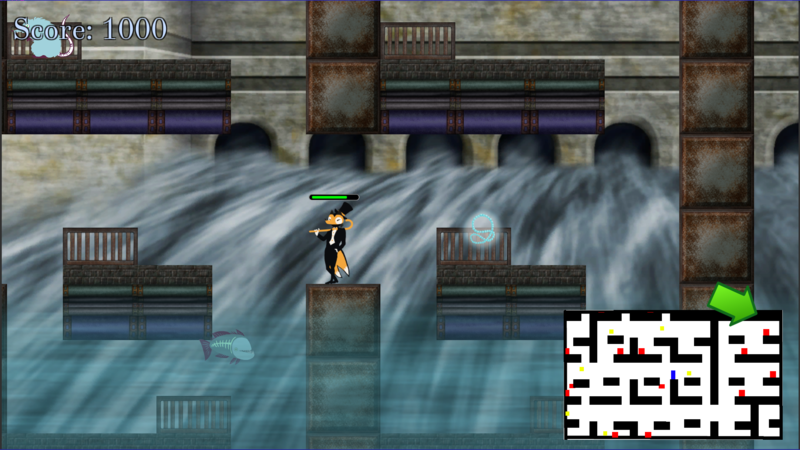 Dowload link for offline version is at the botton of the page. 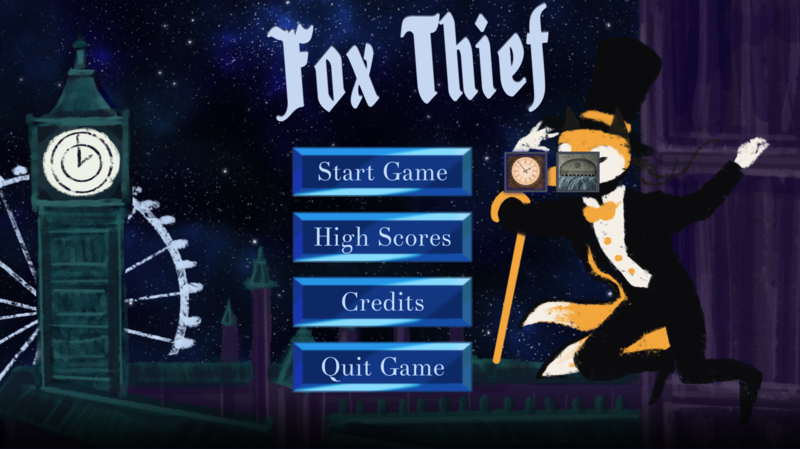 Fox Thief is a 2D platformer game in which the player aims at gaining high score by collecting treasure and fighting enemies. The goal of the game is to survive in the levels as long as possible and try to score as high as possible by collecting treasure and killing enemies. 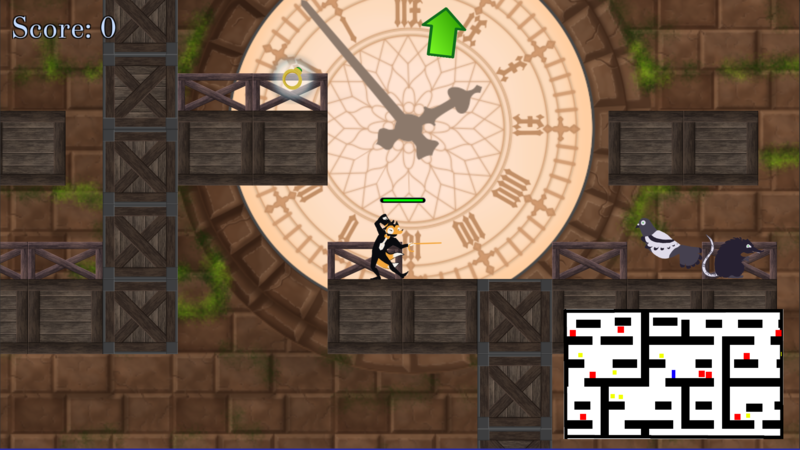 By collecting diamonds, to which the green arrow points to, you can raise your score multiplier permanently and get even higher scores. 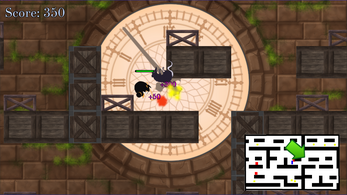 The game ends when your health reaches zero. 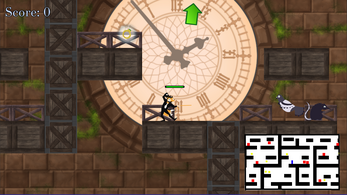 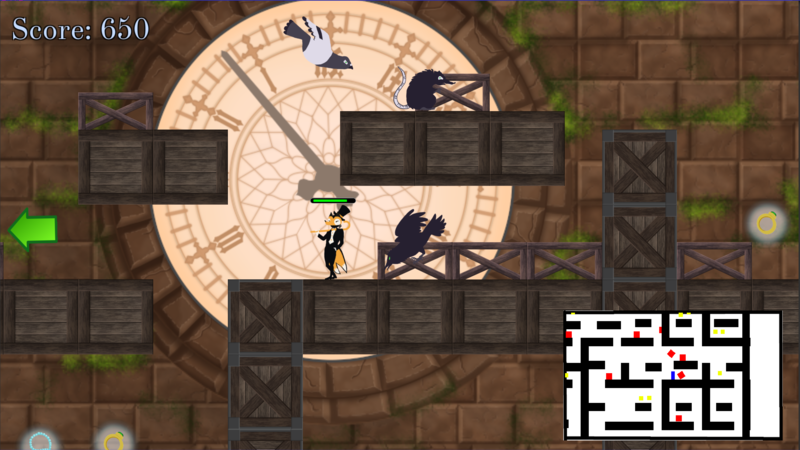 The layouts of the levels in the game are randomly generated each time a level is played. 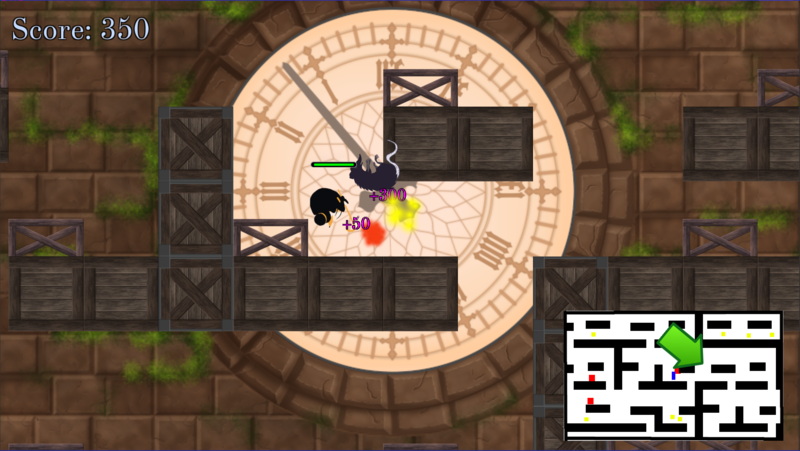 Slide attack: Press attack button while moving on ground to slide. 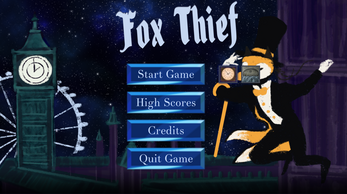 Fox Thief was created by a student team at Tampere University of Applied sciences as a part of a game academy line school project.